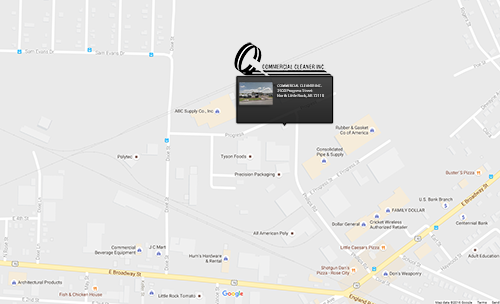 C & C Commercial Cleaner has been making parking lot maintenance a breeze here in Central Arkansas for 37 years and counting and we’d love to make you our next satisfied client. Our fleet of 12 GPS guided parking lot sweepers are on duty 24/7, making it easy to arrange your schedule for cleaning around your business day. A big reason why Commercial Cleaner is the best at what we do is because keeping parking lots clean isn’t something we do in addition to our business, it is our business. What this means to you is you get the benefit of our experience, plus, we treat every parking lot we service with the same excellent care and priority service. With Commercial Cleaner, you’ll always come first, and we’ll give your lot the special attention it deserves. Commercial Cleaner is fully licensed and insured, our sweeper trucks are equipped with GPS for pinpoint precision, and we believe in putting the customer first in all we do. You may find another parking lot cleaner but you won’t find a better one. So call Commercial Cleaner today for our competitively priced service plans and our superior service. You’ll be glad you did! Contact Commercial Cleaner online at this link, or call us at (501) 945-3219 and find out how easy it is to make your parking lot maintenance a breeze!